The Mishnah, written much, much later by Rabbi Yehudah HaNassi, was completed in roughly the year 189 C.E. – 3949 from Creation. Between 1261 BCE to 189 CE, is 1,450 years – one and a half millennia. Even when the Mishkan (Tabernacle) stood at Shilo, it was not as active a center of national worship as it should have been. According to Oral tradition on the story at the opening of sefer Shemuel (Book of Samuel), the pilgrimage of Israelites three times a year had all but ceased before Elqanah – the righteous father of the prophet Samuel – inspired his brethren to resume the ascent to Shilo for the festivals. Considering how inactive it was at times even when the Mishkan stood, and how it was then re-established elsewhere, there can be little doubt: When Shilo was destroyed, it was abandoned. During the next 1,500 years until the Mishnah was written down, the nation would suffer the collapse of three Israelite kingdoms, and two exiles of nearly all its population. By that time, Shilo was a long-distant memory. Moreover, so was the way qodashim qalim –offerings of light sanctity— were eaten at Shilo, since the rules changed after the Tabernacle re-established at Nov. Yet, incredibly, the Sages maintained a fresh memory of minute details of the way the Hebrew pilgrims once ate of the holy offerings at Shilo – even though they had had already been defunct for so long. All that time, the details how the offerings were eaten at Shilo were taught orally from teacher to student so that over 1,450 years later, the Sages remembered them as if Shilo were still standing just the day before. In Seder Qodashim, tractate Zevahhim, 14,6, we learn how, in Shilo – as opposed to later on – the “qodashim qalim” (offerings of light sanctity) were eaten “bakhol ha-ro’eh” – within view of the Tabernacle. After the sacred offerings were consumed, the Israelite pilgrim was not permitted to take the use the clay containers for the offerings beyond that point; they needed to be smashed. Later in Nov, private altars were permitted, and such offerings were not even limited to the Mishkan, but could be eaten “ba-khol `are-Yisrael” – in all the cities of Israel. Finally, when the Divine Service reached its ultimate form with the building of the First Temple, those offerings could be eaten “lifnim min ha-hhomah” – anywhere within the walls of the city of Jerusalem – not necessarily within view of the Temple. Indeed, the site of Tel Shilo today remains a natural amphitheater: The remaining base of the Tabernacle – overgrown with brush — still stands aligned on a perfect East-West axis on its small, central plateau, surrounded by high hills. The holy structure with walls of stone and a roof of animal skins was clearly visible from every direction. And from the site of the sanctuary and outwards up to the perimeter of the surrounding peaks, are countless ancient shards of smashed pottery. There can be no doubt: they hail back to the time when the Israelite pilgrims would smash their pottery after eating their offerings within view of the holy Mishkan. Seeing how trustworthy the Sages were in preserving such minute details about rituals which had been totally irrelevant and impractical for many centuries by their time, consider how much more can they be trusted to have preserved the teachings that were relevant to them, and would remain relevant to Jews throughout the ages – namely the details of the Oral Law of Moses: What really constitutes idolatry? Who is a Jew, who is not, and how can one convert? What are the actual laws of Noah? What is the true interpretation of God’s Commandments in the Torah regarding everything from the kashruth dietary laws to proper observance of Shabboth – the Sabbath day? And so on and so forth. This entry was posted on Wednesday, October 28th, 2009 at 4:42 pm	and is filed under Miqdash (Holy Temple) Related Studies, Torah Research and Discoveries, Torath Emeth--A Torah of Truth. You can follow any responses to this entry through the RSS 2.0 feed. You can leave a response, or trackback from your own site. Great article. 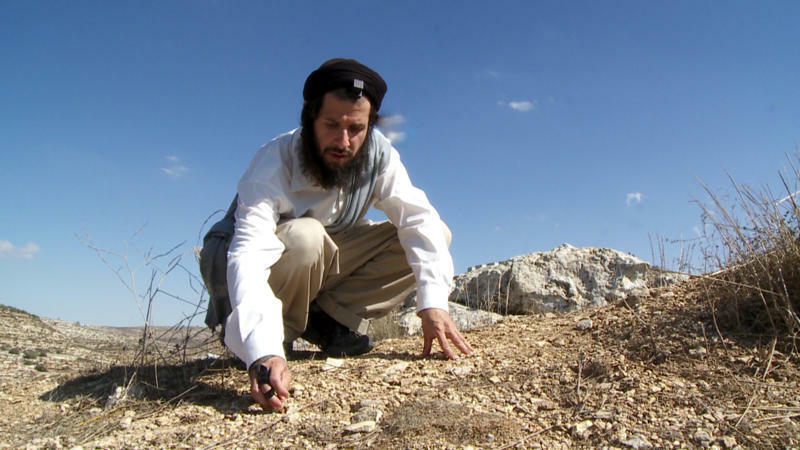 I love the study of Jewish history especially when the elements of tradition, archeology and Torah all come together. When I was in Israel this past year, I was fortunate to be able to Shilo. 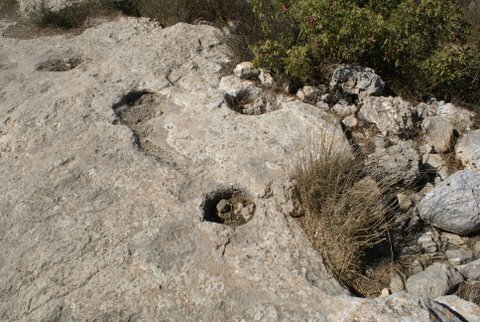 I also was able to go to Joshua’s Altar, outside of Shechem, and saw those same type of pottery shards outside the perimeter of the altar. Now I have an understanding of what they represented. I’m a researcher for Prometheus Entertainment, a television production company in Los Angeles, CA. We’re doing a show about the Ark of the Covenant and need a couple of images of the place in Tel Shiloh where the Tabernacle may have once stood. 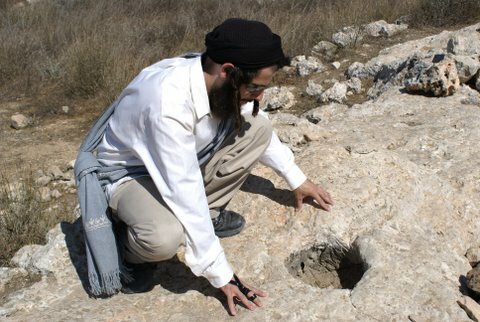 I noticed great photos of the holes where the Holy Tabernacle may have once stood. Do you own these photos? If not, do you have contact info of the person or agency that owns them? Any help you can provide would be wonderful! Thanks for your time and I hope to hear from you soon. Have a good day! The photographs belong to James D. Long. Please contact Lightcatcher Books at lightcatcher@earthlink.net. If you do not receive a response, let me know at our email address: torathmoshe@gmail.com. Thank you so much! I’ll try to reach him by email. I’ll let you know if we don’t reach him. Have great day! the magnificence of the stars and pnleats should create faith. Deuteronomy 6 and many other verses let us know that God expected those who received direct revelation and those who saw mighty works of God to pass them along to their children in order to create faith. These are the things that I could come up with right now. Sorry this comes across like an accountant wrote it.